What is the attraction of watching a random game? Not your own team nor at a stadium you are ever likely to return to. 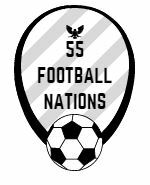 55 Football Nations is all about such randomness within the tight structure of my mission. I considered the relative appeal of four very different matches in Kosovo, Macedonia, Albania and Greece. 55FN has visited few places as unlikely as Gjilan in eastern Kosovo. A major travel website did not list a single hotel for this small industrial town, home to tobacco and radiator factories and two football clubs. The Gjilan city stadium, shared by Superleague rivals Drita and Gjilani, is flanked by decrepit terracing and ringed by graffiti. The grey November skies fitted the rundown setting. But the match between Drita and Liria was instantly enthralling. There was skill and passion. Tackles were flying in. And so were the goals. Drita’s Xhevdet Shabani assisted the opener and scored a tremendous second, lobbing the Liria goalkeeper with a sublime chip from outside the penalty area. Shabani had a fine first hour and Drita led 3-1 with ten minutes to go. The contest seemed over. But Drita wilted, Liria scored two and had a chance to win the match. Instead, a Shabani free kick was bundled into his own net by a Liria defender for an injury time winner. The home fans were delirious. I met Shabani later. He was a charmer. “Find me a club in England” he laughed. He found out I was a Fulham fan. “Fulham is too high a level. League One is okay for me” he smiled. My time in Kosovo was an unbeatable combination of footballing drama and local flavour. Macedonia and Skopje were very different. FK Vardar play in the impressive Philip II Arena that hosted the 2017 UEFA Super Cup. It is far too big for them. The eternal derby against Pelister is the domestic highlight yet attracted only 4,000 supporters. No one was really there for the match. Ardent Vardar fans celebrated 30 years of their ultra group, Komiti, with a blinding array of pink flares, giant banners and echoing chants, all better choreographed than anything on the pitch. Everyone else was there to watch the fireworks from afar. Play was stopped for eight minutes as smoke engulfed the stadium. It was both atmospheric and eerie. The derby would have been a poor spectacle without the home fans. Vardar won a scrappy game on an iffy pitch with a header from a dubious free kick. There were no fans at all in Albania. Flamurtari Vlorë were forced to play Teuta Durrës behind closed doors after crowd trouble at their previous home match. The Flamurtari stadium is a fusion of red and black, colours of both the club and the nation. The hard surfaces and strong colours felt like a car showroom. An Albanian tribute to Ferrari. The novelty of the glam main stand soon wore off. The match needed and failed to hold the neutral’s attention. Players’ partners quickly started fiddling with their phones in protest. Flamurtari employed a defensive 4-1-4-1 formation, a curious tactic against weaker opponents playing a lone striker, and a tedious goalless draw was the deserved result. “That’s football” shrugged a Flamurtari fan after watching it on television at a streetside bar. At least he had a beer to help dull the pain. Exciting football, colourful fans and a sleek stadium all have a certain allure. But football fans love an underdog. Perennial Greek champions Olympiakos were the visitors to the Ionian island of Corfu and expected to win easily against Kerkyra. Thunder rumbled, lighting flashed and the rain poured down. Conditions were elemental and treacherous. A slide rule pass by Olympiakos and Greece midfielder Tachtsidis slid harmlessly into touch on the sodden surface. The home team thrillingly took the lead after a well worked free kick. “Goal, Goal, Goal Kerkyra” was the tinny celebration played across the antiquated PA system. There were murmurs of a major upset at half-time. Kerkyra had played well. Olympiakos’ second half changes were enough to turn the game in their favour, a lovely low curler from Marko Marin the pick of three clinical goals. Kerkyra had battled and deserved their acclaim from the crowd. A friendly steward asked if I had enjoyed the game. I had. There was skill and endeavour, crazy weather and the possibility of a surprise result. “They did well. Normally we don’t even score against Olympiakos” he agreed. There is always a thrill in seeing your own team play well and win. But it’s the unfamiliar that drives 55 Football Nations. Absorbing the local feel, admiring rare talent, being part of a shock or even the hint of one and watching how fans support their team. There is normally something at every game. Even if it is just a nicely designed stadium in Albania.